Culture develops with time from one generation to another. Thus, it remains one of the complex definition to define due to the fact that folks and the certain lifestyle of the certain group of people develops, get birth, grow and die in a stich of time. 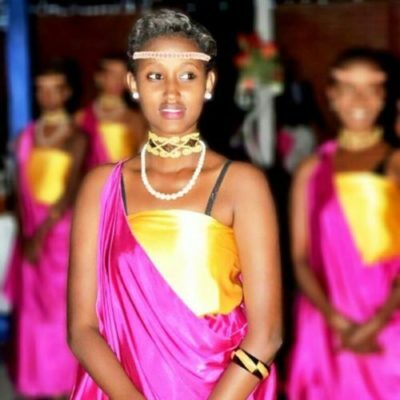 Similarly, Lydia Dushimimana, the crowned Rwanda’s Miss heritage 2018, agrees that culture needs to grow but it has to source from its traditions instead of adopting to the others. She believes that Rwanda’s culture is worth beautiful and rich to be swallowed by the sweep of the western influence- in what she called ‘cultural imperialism’. 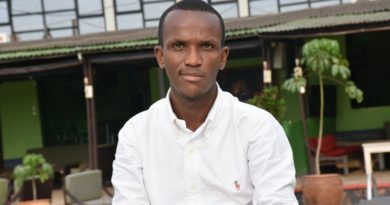 “I think you ever have heard youthful trendy practices called twerking, and other mal-practices on social media, indecent dress code, are all norms that are coped from their fellows abroad yet it’s not our customs. They think are enjoying their developmental rights instead they are catalyzing the erosion to our beautiful inheritance. Our culture should be promoted and preserved for it’s our intangible Heritage worth of conservation,” she says. She However, say despite Kinyarwanda language being the most spoken in the region thus that it is critically endangered due to the fact that Rwandan elites are proud to talk to their kids with English language than the mother tongue. One of the responsibilities that wait to her as Miss Heritage Rwanda is to advocate for the cultural conservation, a role which she says other misses have done little about it. “On my side as I still hold the crown of the Miss Heritage, I will make sure that students are encouraged to read cultural books therefore inculcating the love of their heritage. We will be teaching traditional games in holidays and in vacations, during which we will last a month of training and teaching them Gukaraza, Kunyabanwa and Urukiramende to mention a few. Children rarely forget and through these sessions they will be able to note those games until there old ages,” she says. She says, children need to be taught histories of the past as well as mass campaign to visit museums. Many people don’t know the history of Rwanda in museums that were. “Therefore, I will make sure that the visits increase,” she adds. The first year student is currently pursuing Electronics and telecommunications engineering, Polytechnic Regional Centre. 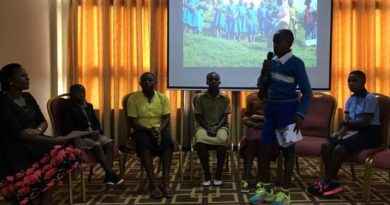 She attended Kibondo primary school in Huye District later to School of Excellence in Nyamagabe district and Ecole Technique Saint Kizito-Save. 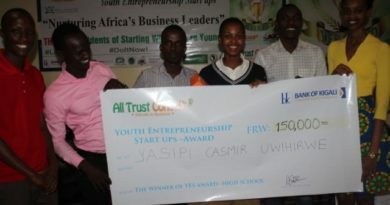 She is fourth in the family of the sixth and born in Huye District, Southern province. 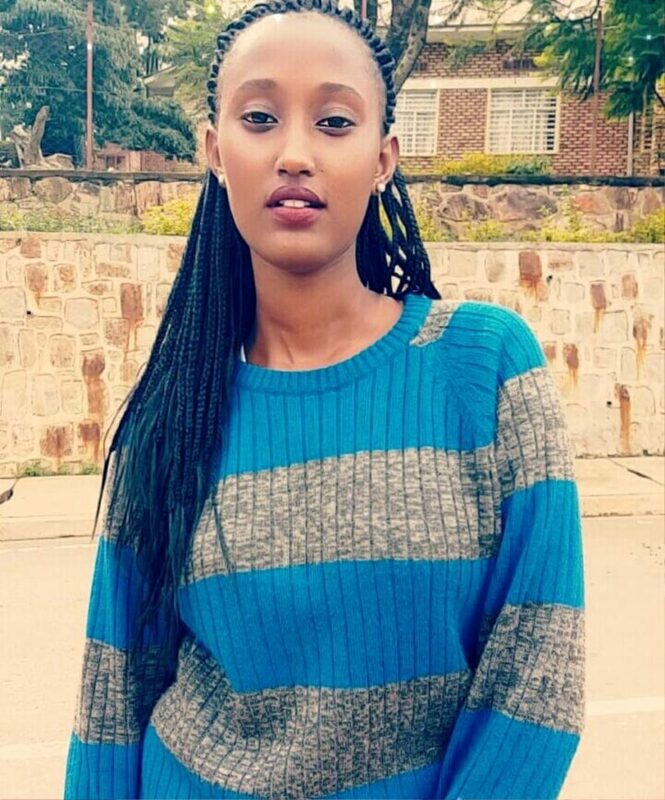 Lydia Dushimimana represented Southern Pronvince in Miss Rwanda Contention 2018. The 20 year-old believes that in order for culture to grow, original customs need to be promoted first. “There are some cultural norms in certain countries that are no more because of the fact that their owners never dared to conserve their heritage,” she says. she says she is always inspired by her mother. “My Mum is a very strong woman. I have leant to be resilient from her. She has the sense of humility yet a die hard to just abandon her visions. She inspired me to join Miss Rwanda and always told me that everything is achievable,” she says. Lydia Dushimimana was crowned Miss Heritage Rwanda 2018.